Ultraderm is an Australian cosmeceutical skincare range offering an impressive collection of results driven products to suit all skin types. 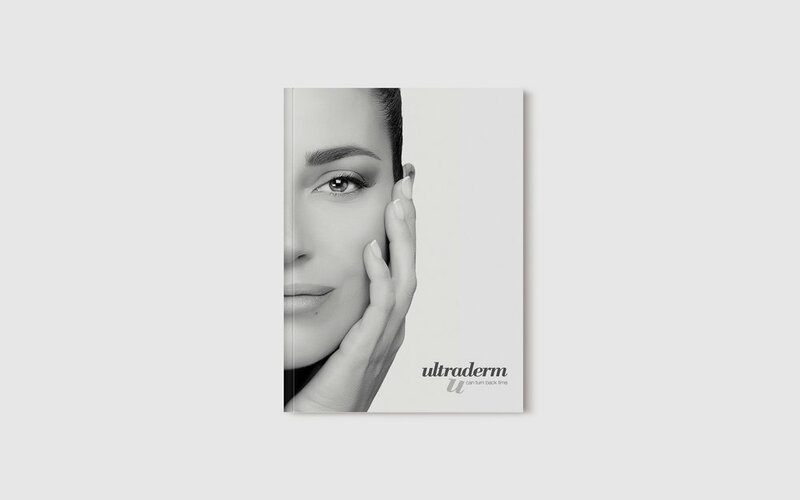 Ultraderm is an Australian producer of superior skincare products that required new and refreshed branding collateral that would reflect their brand values of quality and professionalism. A minimal and delicate aesthetic was created by the use of maximum white space along with a bright and light monochromatic palette. The new branding style was rolled out across the Ultraderm website, annual desk planners, corporate brochures, advertorials for Elle magazine, in salon signage and promotional collateral. "Tahlia has done a fantastic job in helping us update and refresh our marketing materials. She is efficient and thorough and we really appreciate that she has been able to get several projects completed in record time when required."